Back to School – Are you Parents Really Ready? Back to school again! I cannot believe how quickly this summer has passed already!… Parents, are you really ready for your kids to go back to school? The children’s attitude and confidence, as well as school performance can be influenced about how we, as parents, are getting a new school year off to a good start. A new school year can be difficult for both parents and children. Children are challenged not only by new routine accommodation, new activities, greater level of work and structure in school, but also by health issues that appear as soon as the school starts. The school life includes close contact with other classmates and respiratory infections are just around the corner. 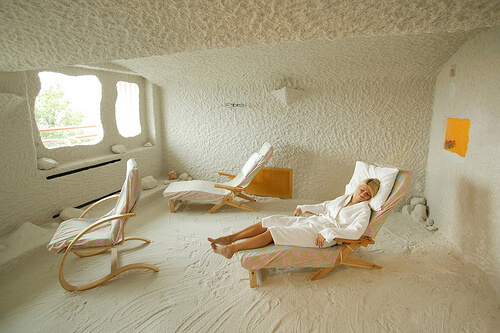 Ear infections, nasal congestion, cold or flu can be easily prevented by home salt therapy. If there is an infection onset, the salt aerosol helps to fight the infection and recover much quicker. The salt aerosol is antibacterial, antiviral and antifungal, and is able to penetrate deep into the lungs, fighting infections, reducing the inflammation / congestion and promoting better breathing and blood oxygenation. 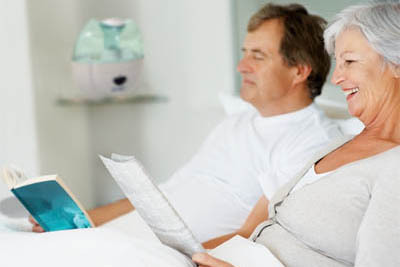 Beside the health effects on the respiratory system and fighting respiratory infections, increased blood oxygenation has a positive effect over the whole body, including the brain and nervous system. There are two main devices for salt therapy at home that your kids can benefit from – Saltair device and Salt Inhaler. 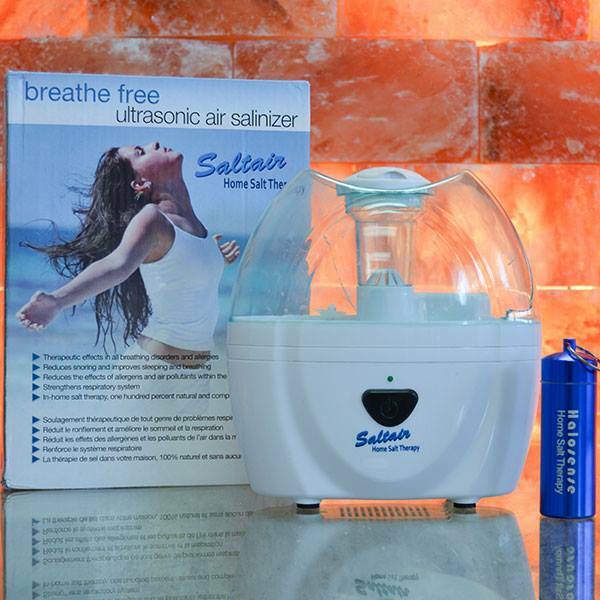 Saltair device is a salt machine, an ultrasonic salinizer, that works by releasing microscopic particles of salt into the indoor air for breathing them during night. It is very easy to use without any user involvement, recommended in all ages! The salt inhaler is a hand-held device that can be easily carried at school and breathe through it during the day. School age kids can use the salt inhaler easily but it is not recommended for younger kids. The degree of adjustment depends on the child; as parents we can help our children manage the increased pace of life by planning ahead and maintaining a positive attitude. Health is the most important aspect of our life and everything depends on it. Your child will benefit if you can identify and address a potential issue before school starts. 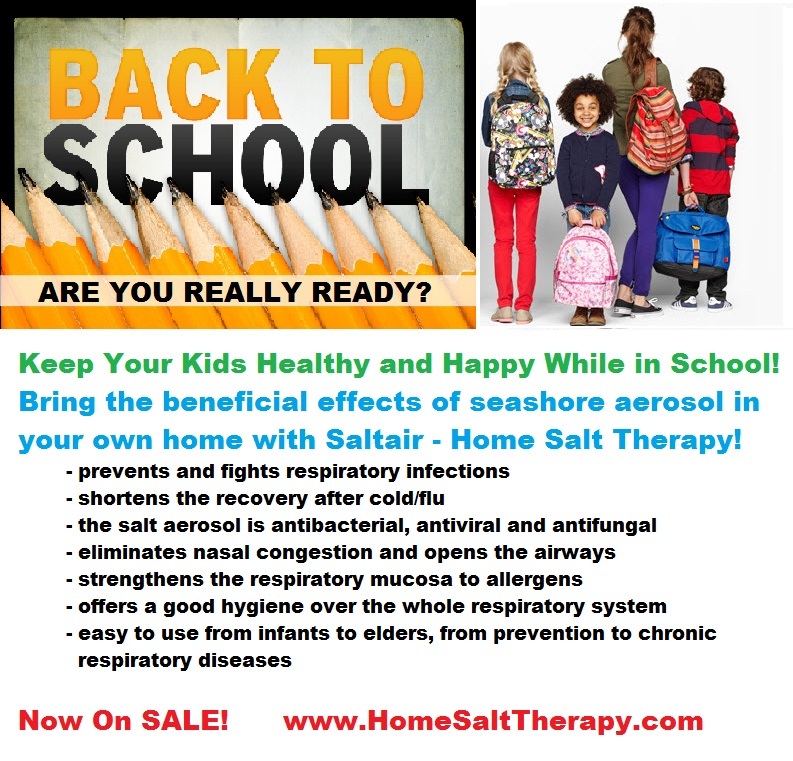 Keep your kids healthy and happy with home salt therapy!